The JCPS District insists that its schools be safe and free of drugs. The district follows the guidelines in the Gun-Free Schools Act of 1994, the Safe and Drug-Free Schools and Communities Act of 1994, and the Drug-Free Workplace Act of 1988. Every student and staff member has the right to respectful treatment and freedom from harassment and abuse. In order to achieve this, JCPS has established a zero-tolerance approach to student discipline. This means that when students break rules, they are provided with clear directives and strict consequences. To ensure safe schools, the JCPS District takes necessary action to discover drugs and weapons in schools. A search of school lockers, parking lots, and all other school property may be conducted by school officials and the Police Detection Canine Team. The searches may be random and unannounced. The schools also will exercise the right to search a student whenever there is a reasonable suspicion that the student is in possession of something that violates school rules or endangers others. Restorative Practice helps support and strengthen positive school culture and improve relationships within the school community. Restorative Practice is an innovative model that helps JCPS students learn how their actions affect others. Restorative Practice is not a program. It is a philosophy focusing on repairing harm, restoring relationships, and responsibility. Restorative Practice gives students a voice—communication and problem-solving skills that will help them pursue appropriate solutions to future problems. Poor behavior and disruptions can change the healthy balance of a community, which is why district leaders are pursuing implementation of Restorative Practice at JCPS. Restorative Practice is significantly connected to another district initiative, Positive Behavior Intervention Supports (PBIS), which has the goal of reducing exclusionary discipline and maximizing instructional engagement. One of the purposes of both PBIS and Restorative Practice is to improve relationships among students, teachers, and staff—and create a sense of belonging for all people in the building. When rules are violated, school and classroom leaders must respond with appropriate interventions. 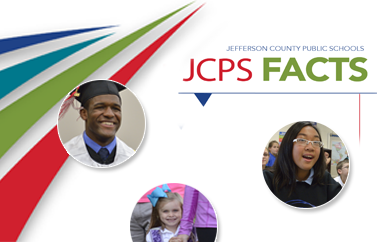 The JCPS Student Support and Behavior Intervention Handbook was updated in 2018 to include language regarding Restorative Practice and suggests age-appropriate Restorative Practice strategies. It encourages schools to consider repairing harm, responsibility, and restoring relationships when addressing school discipline.